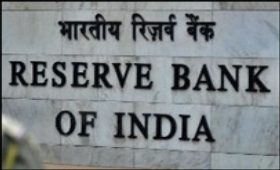 The Reserve Bank of India's monetary policy review, along with the finalised Goods and Services Tax (GST) sub-rates and the last of quarterly results are expected to affect the movement of key stock markets during the upcoming week. Market analysts observed that other major themes like news on monsoon progress, global geopolitical situation and crude oil prices will impact investors' risk-taking appetite in the highly expensive market environment. "Some profit-booking is expected and markets may witness some shallow correction; however, the trend in both the short- and medium-term remains positive," Dhruv Desai, Director and Chief Operating Officer of Tradebulls, told agency. "Banking sector stocks would be in focus with the RBI's credit policy scheduled on the 7th of June." According to D.K. Aggarwal, Chairman and Managing Director, SMC Investments and Advisors, the recent inflation data and the slowdown in growth rate might give the central bank enough room to reduce benchmark interest rates. "A surprise slowdown in Indian growth along with record-low inflation has created room for the central bank to ease interest rates," Aggarwal explained. "However, it is expected to keep the repo rate unchanged in its upcoming meeting scheduled on June 7." Apart from the monetary policy review, foreign funds' inflows and progress on the monsoon can trigger volatility. Last week's figures from the National Securities Depository (NSDL) revealed that foreign portfolio investors (FPIs) invested in a total of equities and debts worth Rs 4,691.05 crore, or $726.51 million, during May 29-June 2. Provisional figures from the stock exchanges showed that foreign institutional investors (FIIs) sold stocks worth Rs 454.58 crore, while domestic institutional investors (DIIs) purchased scrips worth Rs 111.90 crore during the week. "Markets will probably continue to be range-bound with a positive bias supported by domestic flows as well as local positive earnings' surprises," said Devendra Nevgi, Chief Executive of Zyfin Advisors. Besides global cues, the last batch of quarterly results will guide the movement of the markets. "Markets continue to punish stocks with poor earnings vis-a-vis estimates. The idiosyncratic factors for single stocks would dominate too," Nevgi elaborated. "Pharma sector seems to be attracting some value buying. Consumer-facing stocks would continue to run on back of earnings and monsoon predictions." On technical-levels, the NSE Nifty is expected to remain in an intermediate uptrend. "Technically, with the Nifty surging to new life highs, the index remains in an intermediate uptrend," Deepak Jasani, Head - Retail Research, HDFC Securities, told IANS. "Further upsides are likely once the immediate resistances of 9,732 points are taken out. Crucial supports to watch for weakness are at 9,547 points." The key equity indices had scaled new highs last week on the back of early monsoon onset, positive global cues and optimism about the GST roll-out. Consequently, the barometer 30-scrip S&P BSE Sensex surged by 245.08 points or 0.79 percent to 31,273.29 points, while the wider NSE Nifty rose by 58.4 points or 0.60 percent to 9,653.50 points.